Arsene Wenger has termed the information provided by Mathieu Debuchy during a recent interview with L'Equipe as 'false'. 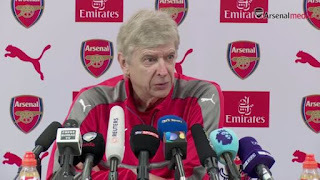 The Arsenal boss was disappointed in the right-back for telling lies to journalist in a recent chat with them. You can access the interview here. When asked about Debuchy's claims, the Frenchman said at his pre-match press conference that what was disseminated wasn't the truth. 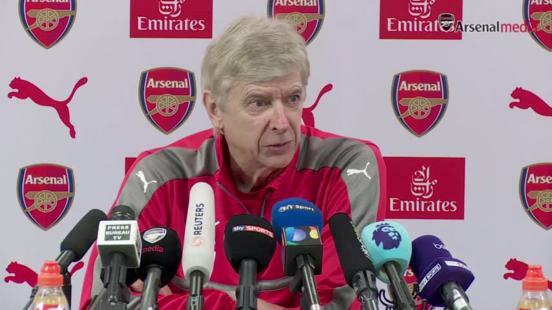 "Yes, of course [we are listening to offers for Mathieu in January] but we speak", Wenger said. "We have communication with all the players." "It’s a little bit a frustrated article from a player who is injured, you know when you are injured you cannot play. When he had the opportunities to play when Bellerin was injured, he got injured. "So I cannot do anything about that and I gave him last year the opportunity to go to Bordeaux on loan, but we had nobody coming in for him over the summer period and there are some things that are not true in this article. "We never blocked him going to Fiorentina, nor Espanyol. They had no interest in him at all because we checked that, so you have to take this article with a little distance. The 67-year-old added that there was never a time when Manchester United attempted to sign Debuchy from Arsenal. "They have never made an offer for him. It’s completely untrue. It’s sometimes surprising to hear things like that."